Enter our newest cashmere cape – the Empress double row cashmere cape. 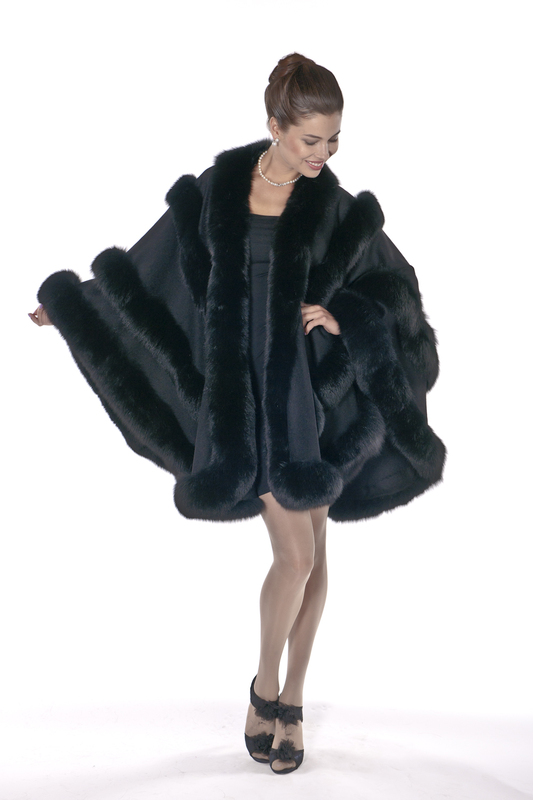 Double the excitement with this ultra glamorous cashmere cape! Two rows of glorious black fox rippling across the cape and cascading down the front, enveloping you in a cape of stunning drama!